Welcome to the official FANSHOP online store of FC VARDAR and HC VARDAR, the only place where you can exclusively get official jerseys and other sports equipment of your favorite clubs, as well as many other fan accessories and accessories for the fans. VARDAR FANSHOP as a subsidiary of AD RK Vardar started operations on October 4, and our only goal is for our company to offer an appropriate and quality and desirable product to all fans and fans of FC VARDAR and HC VARDAR, and to the extent possible a better service in order for the buyer to get what he wants and in order to to realize as far as possible better and longer-term communication. FC VARDAR and HC VARDAR are sponsored by the renowned Danish manufacturer of sports equipment Hummel and through the successful long-term cooperation we managed to bring and approach our customers the whole range available from Hummel - Denmark. Hummel is a company that has existed since 1923 and is a proud sponsor of a number of teams in the world of handball and football. It offers you high-performance equipment and European quality standards. As a real sport & lifestyle brand, Hummel is managed and managed by their mission CHANGE THE WORLD THROUGH SPORT. 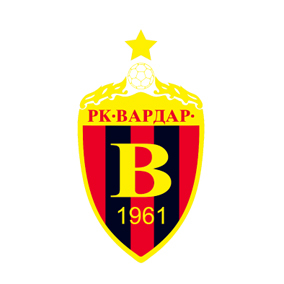 Enjoy the products of our FANSHOP, bring with pride the colors of VARDAR and be united by the joy of our clubs.